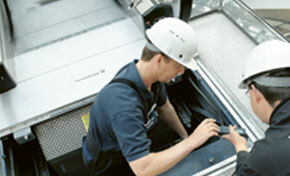 Company was founded in 1985 with prime objective of manufacture quality elevator and to execute the task of installations of the same We also undertake maintenance and servicing of existing commercial elevators. Today, the company has achieved good reputation because of it rich experience and super quality. Understanding the importance of money and time of our customers, we offer our range at affordable prices and within the scheduled time. Further to offer maximum satisfaction to our clients, we also provide customized solutions and design these lifts as per the provided specifications. Company was founded in 1985 with prime objective of manufacture quality elevator and to execute the task of installations of the same We also undertake maintenance and servicing of existing commercial elevators. The Principals' combined experiences in the lift sector professions for over 35 years. Copyright © 2018 uniqueelevators. All Rights Reserved.